Each of the articles listed here are available as a high-resolution PDF file - without the watermark of course. The articles vary in length and therefore in price. To purchase any of these, simply click Add to Cart and you will taken to your PayPal checkout. At present we do not have a facility for the automatic downloading of your orders, but rest assured that you will receive them within 12 hours. NOTE: You do not need a Paypal Account to use this! You can use a card to complete the checkout process. We use Paypal as it is convenient for us and gives you added protection through their complaints process. You can also order via email. Please send your enquiry to leopardfibel@gmail.com stating the items you wish to order, and the number of items you would like, together with your address. You will be contacted with a full price including shipping prior to payment. The Leopard 1A4 was the final production version of Leopard 1 for the German Army. In fact, Leopard 1A4 was the first main battle tank to have a modern fire control system (though it still lacked a laser rangefinder), the system being based on that developed for use in Leopard 2 at the same time. 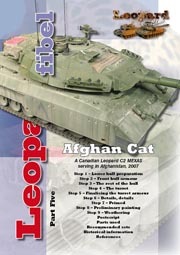 Five Canadian Leopard C1 tanks were uparmoured with MEXAS appliqué armour kits. These tanks were deployed with KFOR to Kosovo. They were there for two tours and saw almost constant use - the first in 1999 with Lord Strathcona's Horse crewing them, and the second tour in 2000 when they were crewed by The Royal Canadian Dragoons. 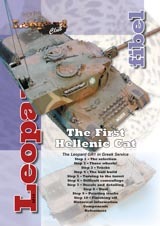 The Greek Leopard 2A4GR offers one of the most interesting and colourful camouflage schemes. This is not an easy one to pull off but experienced Leopard 2 builder, Chris Jerret, has aced this one! This article expands greatly on what has been in print previously. 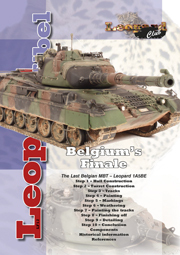 With the impending Trackjam release of this conversion, Jim Carswell has written an article about the Canadian Leopard C2 MEXAS for which he built the master parts, originally for Maple Leaf Models. Hopefully, it will help with any questions that arise when you start your Trackjam builds. C2 MEXAS were deployed in Afghanistan by the 2nd Battalion, Royal Canadian Regiment Battle Group, from October 2006 until 2011. The Swedish Strv122 was the most modern Leopard 2 when it was introduced into service. Its colourful splinter camouflage and a kit bash from two manufacturers make for a spectacular project! 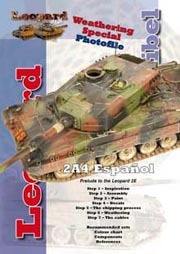 The Spanish Leopard 2E is presented here in dynamic pose by a new Spanish modeller. This article focuses on how to weather a model rather than on its consruction, and shows how a dramatic pose can suggest the power of the real thing. It features many photos of the real machine! 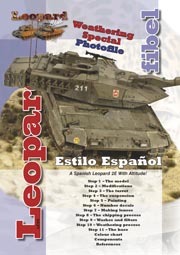 Also available in Spanish, this is a first for Leopard Club! 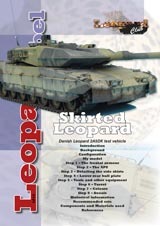 Take a look at our Leopard 2E spotlight features too!! 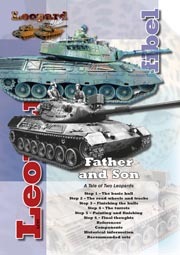 The Spanish Leopard 2A4 was the prelude to the real Leopard 2E featured in LF08. This model, too, was a prelude to Gonzalo's 2E model and once again focuses on how to weather a model rather than on its consruction. It features many photos of the real machine and how to bring alive the Hobby Boss kit! The Bundeswehr's iconic Leopard 2A4 is modelled here in the most detailed build we have featured so far and also the longest article. 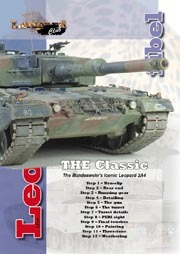 Tobias Fuß shows us what can be done with the recent Revell release and he has produced a stunner! Now also available in German completely FREE! 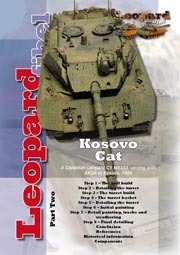 This is the first special purpose Leopard we have featured and it is something a little different. 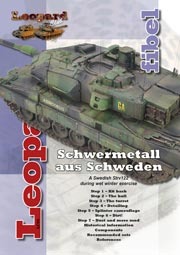 To support the Leopard 2A5s the Danish Army sent to Afghanistan, a rather different Bergepanzer went with them. This is a conversion from the Perfect Scale Modellbau kit and makes a very striking looking vehicle. 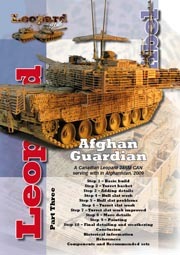 Includes a 32-photo Spotlight on the QRF machine gun turret. The last main battle tank to be see service was the Leopard 1A5BE. 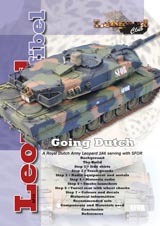 Roel Geutjens not only commanded this particular tank, he has put his remarkable skills into this surprisingly complex conversion of the old Revell 1A5 kit. Bernd Zaeske, a new author who we welcome to Leopard Club, reveals how he built the old Italeri Leopard 2A5 with remarkably few after-market parts, only the tracks in fact. This is a Dutch version which served with SFOR in Bosnia. The result shows that even this old stager of a kit can be built into something special. 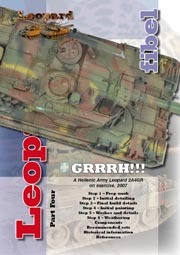 As most of you know, I have been fairly hard in my criticism of Meng's first attempt at producing a Leopard 1. Here is the end result of my build almost, but not quite, out-of-the-box. In the end, I was quite pleased. A Danish Leopard 2A5DK with a difference. Another amazing build from Bernd, this was an early trial with extra dust skirts. Built from the Tamiya kit without any after-market parts. 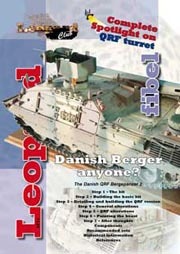 The Danish like experimenting and have produced some interesting Leopards over the years. 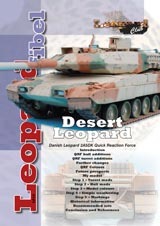 This Quick Reaction Force version was the first step to the Leopard 2A5DK that went to Afghanistan. Bernd has based this on the Tamiya kit with many, many scratch-built parts. It is an exceptional build.